Why should you join a Credit Union? Did you know that Credit Unions usually have lower fees and tend to pay higher rates than your average bank? Most people don’t but, with many becoming frustrated with high bank fees and low interest rates, joining a Credit Union is definitely an option worth looking into. Indeed, nearly 1 million Americans are now using credit unions instead of traditional banks. Unlike the typical bank, a credit union is owned by its members and also governed by them as well. While it’s true that the average credit union is much smaller than the average bank, they provide very similar services with better rates and lower fees, including electronic banking, savings accounts with higher interest and ATMs with excellent fees. If that sounds enticing to you, and it should, below are a number of excellent reasons to join a Credit Union. Keep in mind that we’re not being paid by any Credit Union, we just want to give our readers as many options as possible to make and save money. Enjoy. Do you qualify to join a Credit Union? Generally speaking, if you want to join a credit union are going to need to belong to a particular “community” of people such as a specific region of the country, a church or a community group. That being said, most people will qualify to join, it just takes a little bit of research and investigation to determine which credit union is your best option. Finding a credit union is as easy as surfing online to sites like mycreditunion.gov or going to your employer or a representative at your local government who can direct you to the credit unions available in your particular city, state or area of the country. 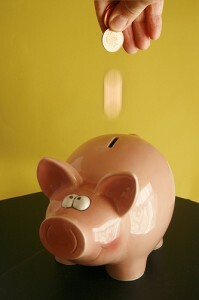 Credit Unions, in general, have higher interest rates and lower fees than banks. The average bank can give you a five-year car loan at an interest rate of 5.19%. When you compare that with the average rate for a credit union at 2.87% you immediately see the big difference between the two. When it comes to the rate of return on a regular savings account the difference is smaller but still better. Credit unions, on average, offer a return of approximately .83% while the typical bank is .55% on average. Your deposits are insured just as well with Credit Unions as they are with regular banks. The National Credit Union Administration (NCUA) is a federal government entity that offers the same protections of the FDIC. Simply put, if a credit union fails your money is still protected. Credit Unions fail, on average, much less frequently than banks. Like any type of financial institution a Credit Union can fail but usually that means that they merge with another, bigger credit union. As mentioned above however the funds kept in a credit union are covered by NCUA insurance and thus are protected quite well. From 2008 through 2012 there been four times as many banks that have failed as credit unions, 124 as opposed to 465. So, while it’s not impossible that a credit union will fail, it’s much less likely than your typical bank. Your Credit Union has a lot to teach you about making smart financial decisions. Frankly, your average bank isn’t going to be giving lessons on how to handle your finances responsibly whereas your average Credit Union actually takes pride in the fact that they can bring you excellent financial information that you can use. From seminars to blog articles, white papers and e-books on topics from managing credit cards to preventing identity theft, credit unions provide information on a wide range of financial topics. Contacting your local credit union or surfing to the NCUA website is your best bet for getting this information and using it to keep your financial ship sailing smoothly. If you have more questions about credit unions or personal finance questions in general, drop us a note and we’ll get back to you ASAP with information and advice that you can use.